By creating a Worm account, you will have privileged and exclusive access to Worm's wonderful online services. 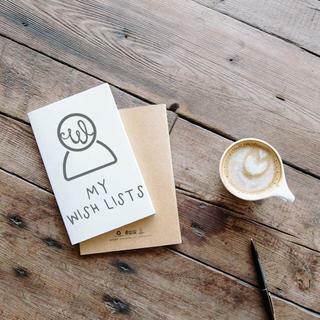 Creating wish lists is just one of the big advantages of having a Worm account. With wish lists, you will be able to save your favourite products for later. 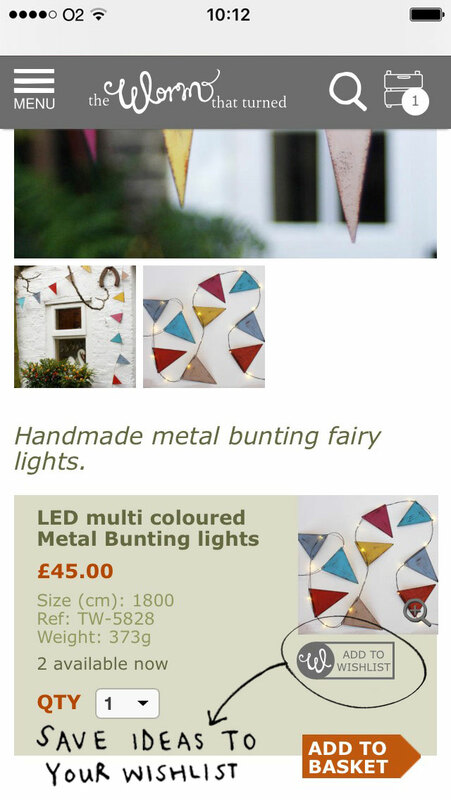 Perfect for when you are browsing for gift ideas or planning your new outdoor space. So go ahead, create your Worm account now or sign in to start using your wishlists! 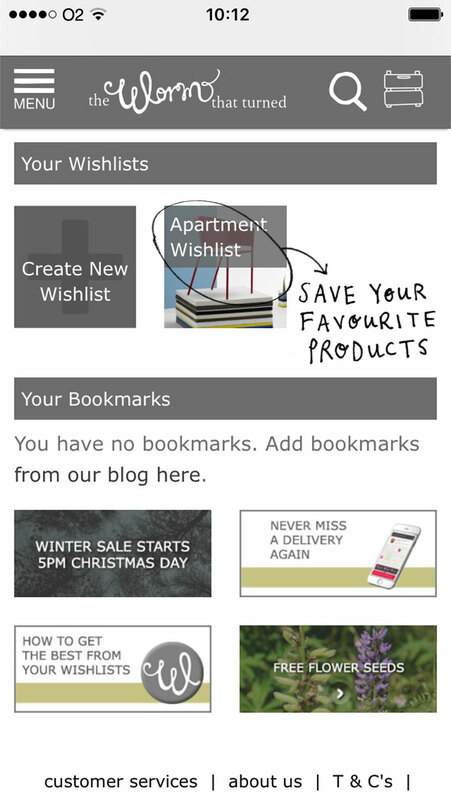 All your wishlists are displayed neatly on your account homepage once you've logged in. Creating a new wishlist is as simple as clicking on the 'Create New Wishlists' button, naming it, and voilà, you are ready to start saving your favourite products and ideas! We have made saving products to your wish list hassle free. If you see an item that takes your fancy while you are browsing on your website, select the quantity of the product you would like to add, and then save it to your wish list by clicking on the 'ADD TO WISHLIST' button just above the 'ADD TO BASKET' button. Then select the wish list you would like to add to and save the product. 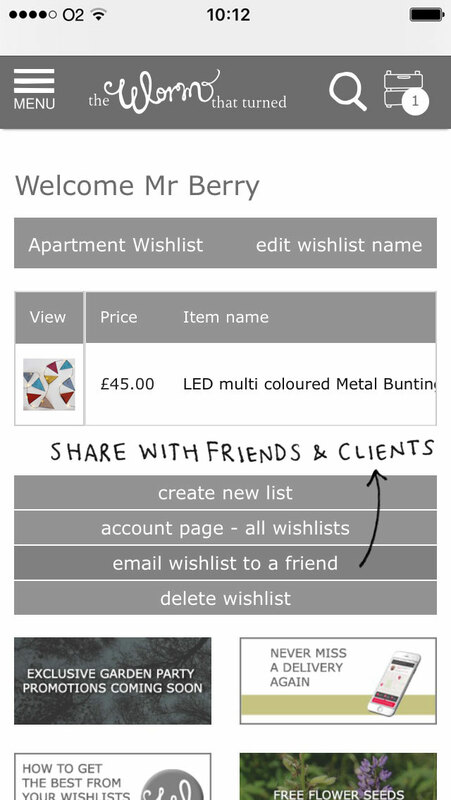 Send your ideas to friends, family and collaborators by simply clicking on the 'email wish list to a friend' button. Fill in their details and a message (if you want to) and forward on the lovely products you have saved. You can check stock availability of your save items from your wish list. Just swipe right on the product information (if you are on a mobile device) to see how many we have left in stock and to find out more about lead times. 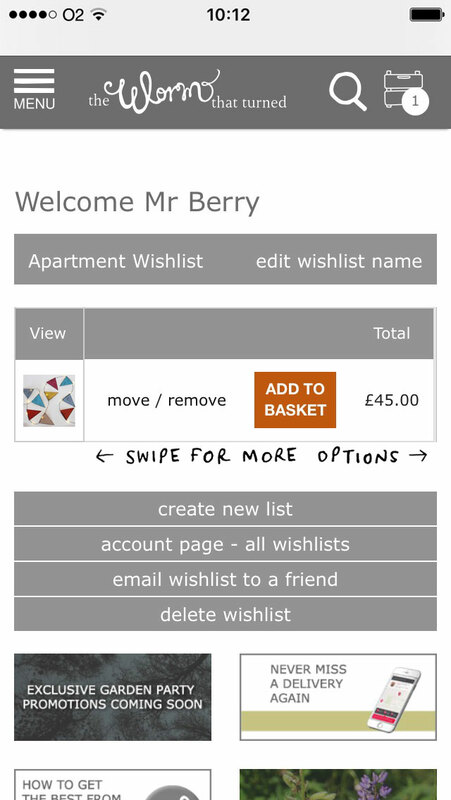 You can also change the quantities of any product in your wish list. Click on the quantity number to activate and change. 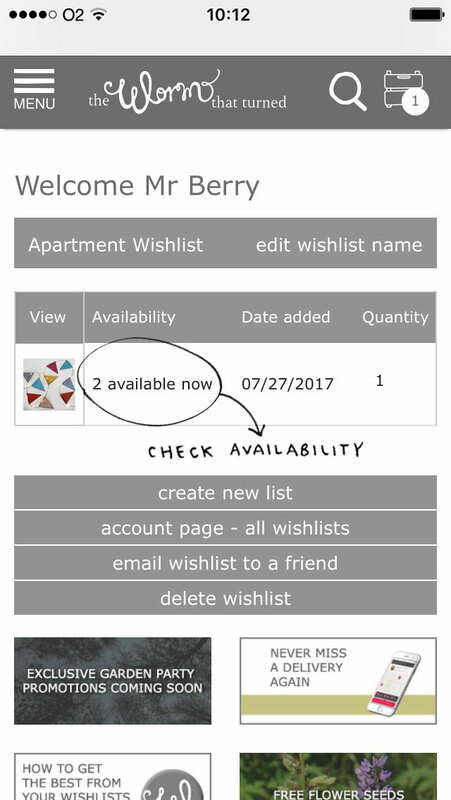 You can also move items to a different wish list, remove items or, if you're happy with your selection, add them to your basket from your wish list page. Swipe to left to the end to access these functions if you are on a mobile device. If you have any queries regarding your wish lists, please do not hesitate to contact us on 0345 605 2505.